Dribblin' On: A trip down South. 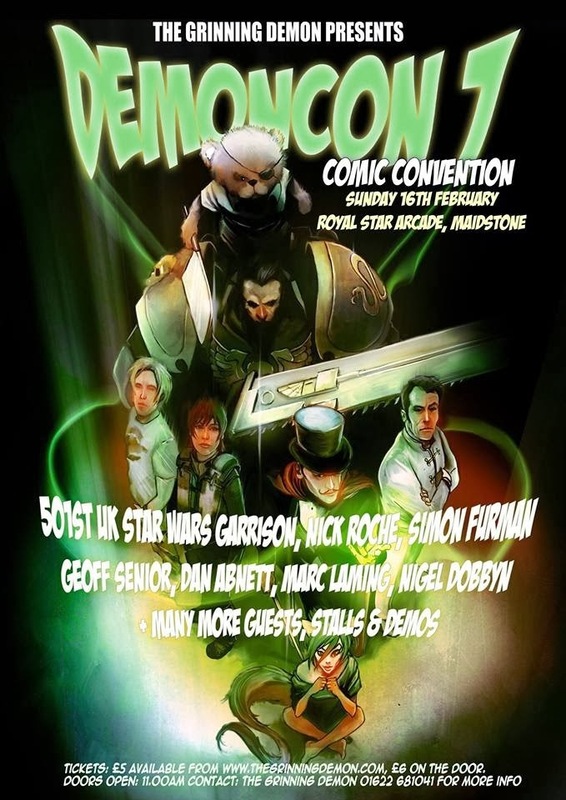 On Sunday the 16th, Dave West and I traveled down to Maidstone in Kent to attend Demoncon 7. I was a stand in for Colin who couldn't make it because of family business. three and a half hours one way. But we did it, with one stop so we could eat a spot of brekkie. It's the first con of the year (I think) and Dave had promised Graham Beadle (organizer and owner of the Grinning Demon Comic store) that AccentUK would attend (weather permitting, there are floods everywhere don'tcha know). Honestly I don't think Dave though we have many sales and by the first hour I would have to agree with him. But after that sales picked up and no mistake. I was taken with the diversity of people buying from the very young ( and really some of Accent's books are not really appropriate...But mention Werewolf gangster in the 1960's to a young lad and it's an obvious sale) to the mature reader shall we say. Good old mixed bag of folk. 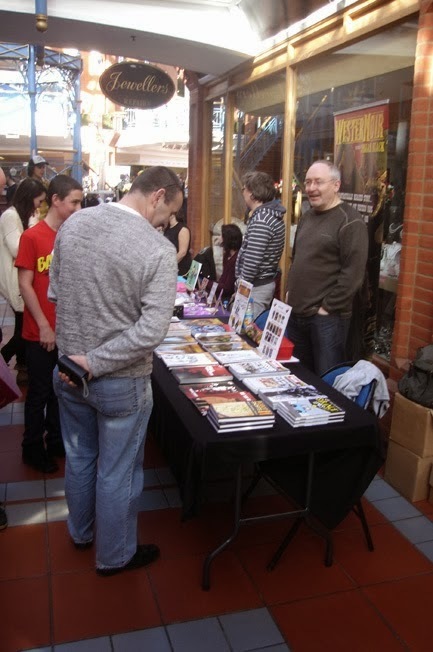 Stuart Gould of UK Comics was there to drop of copies of WESTERNoir Book 4. The first time I'd seen it of course all printed purty like. Dave of course had seen the the print mock up so he'd had a taster of what it would look like. It's cracking even if I do say so meself. 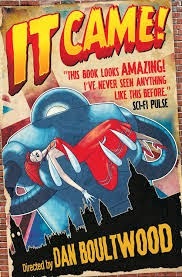 selling copies of his book "It Came" published by Titan Comics which is an absolute corker of a book. I'd bought the comics but passed them on to a friend so he could study the wonderfulness of Dan's art and story. Dave and I raced across so we could buy a copy each, and we had to be quick, Dan didn't have many copies with him. Also Adam Cheal turn up with a contributor's copy of British Showcase Anthology for me. Published by Markosia and edited by Adam, all in full colour so that was a really terrific treat. Graham mentioned an after-event knees up but Dave and I thought of the three and a half hour trip back and said our farewells. All in all a cracking day. There's another one later in the year but I think it clashes with another event that AccentUK have booked, but looks like Dave will definitely travelling to Maidstone next year. Glad you and Dave had a fun day and did amazing sales making the long trip worthwhile. You get an A* too for not getting Dave lost so well done you! It were a grand day out and no mistake Colin. Looking forward to the next one.